With the recent escalation of arbitrary arrests and prosecutions for online “rumor mongering”, Chinese authorities are facing criticism from both the law enforcement and legal experts in China. 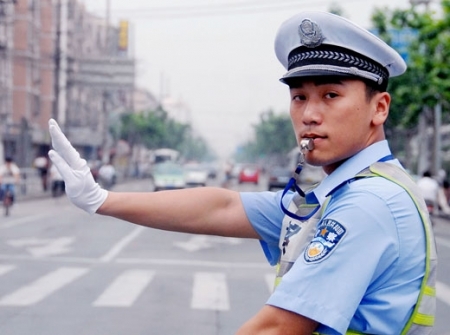 Chinese traffic police officer. Photo by Beijing Patrol from US. [CC-BY-2.0), via Wikimedia Commons. A Guangzhou police officer wrote on his microblog that the national campaign against online rumors “should be abide by the law” and should not be “extended blindly”. His post was removed promptly by the web censor but his message has spread nevertheless. To provide legal ground for prosecuting accused rumor mongers, China's Supreme People's Court and Supreme People's Procuratorate issued [zh] a new judicial guideline on September 9, stating that anyone who deliberately posts defamatory lies and rumors against individuals or the government may face up to three years imprisonment if their posts are shared for more than 500 times or viewed by more than 5,000 people. Targeting the “viralness” of such messages, the guideline cuts against basic laws of online sharing. 1. [Messages that] defame individuals or groups. 2. The scale of harm: A defamatory message that has been viewed 5000 times and retweeted 500 times; a message that brings psychological distress and harm; the person has a track record of spreading rumors; others. 3. A message that upsets social order and national interests by inducing mass incidents [protests and demonstrations], inducing public disorder; inducing ethnic and religious conflicts; harming national image and interest; and etc. 4. Individuals who have spread many rumors over one year and the cumulative views and retweets of the messages are up to 5000 and 500 [respectively]. 5. A message that insults or threatens other individuals and disturbs social order should be prosecuted under the charge of “provoking social disorder”. 6. [Entities who earn profits] threatening individuals by spreading untrue information and message deletion service will be prosecuted with “blackmailing”. 7. [Entities who earn profits] by providing message deletion services and spreading untrue information with a business scale up to RMB 50,000 yuan for individuals and RMB 150,000 for corporates, will be prosecuted under “illegal operation of business”. 8. Capital, technological and administrative support to defamation, provoking social disorder, blackmailing and operating illegal business will be prosecuted as “conspiracy” to the criminal acts. 9. When the criminal act of defamation, provoking social disorder, blackmailing and operating illegal business have real harm to business, inciting social violence, the sentence will be more heavy. The spokesman for the Supreme People's Procuratorate stressed that they don't want the judicial guidelines to limit the “watchdog” function of social media. Publicly, it is widely believed that the measures aim to restrict freedom of expression online on a broad scale. Retweeted 500 times and one can be convicted. This is so scary. First, I want to plead to all the big V (influential opinion leaders), please do not post any comment and retweet my posts or I will reach the 500 retweets and 5000 views at once. Second, I wonder if they have prepared enough prison cells. The subcontractors of prison service will make huge profit. Third, If you want to get someone in trouble, you just need to hire 500 people to retweet his / her message. Retweet will become an art of getting someone in jail. The economy is not good. The 500 retweets might have some economic consideration. Conservative estimation is that the policy can lead to 1% economic growth and the reason is simple: the more people get prosecuted, the more lawyers, judges, prosectors the society needs; the more people put into jail, the more prisons needed to be built, and more police officers… this can certainly enhance employment, construction and building business. A smart move. State media, for example, have not been punished for rumor mongering — recently Chinese Central Television and Xinhua news agency wrongly reported that Istanbul had won the bid for the 2020 Olympic games, when in fact Tokyo had won. Netizens mocked the error, highlighting the state and party monopoly on the distribution of fabricated information. 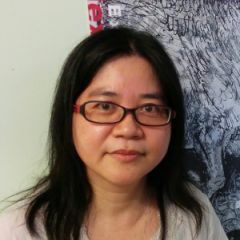 While the judicial guidelines offer some clarity on the definition of “rumor”, few believe that they will change the arbitrary nature of detention and prosecution for rumor mongering in China.